Your pool is closed for the winter so that means you don’t have to think about it again until next summer, right? Wrong, say the pool contractors from Imperial Pools. Caring for the pool in the winter doesn’t take anywhere near as much time as caring for it during the summer, but there does need to be attention paid to it in order to protect it during the long cold days of winter. Ask us if you should add a mid-winter algaecide to the water. This will help keep the water clear of algae growth which can occur beneath the pool cover — especially if the temperatures rise during the winter months. If you haven’t yet closed your swimming pool you will want to do that before a freeze settles in. If the pipes have not been drained, water can freeze, ecpand and crack the pipes. When you’re closing the pool for the winter, lower the water level to about six inches below the pool skimmer. 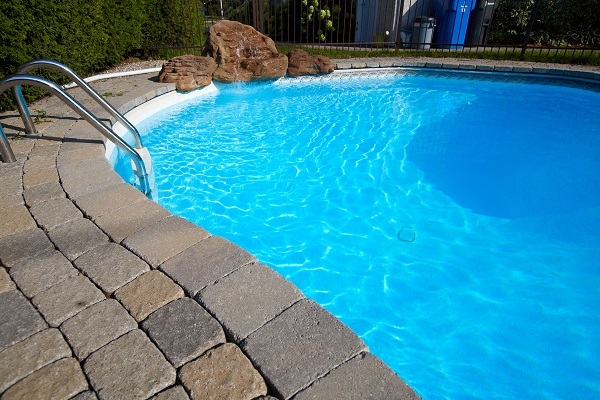 Your pool contractor will assure the pool is ready to be closed up to withstand the freezing temps. Make sure there are no tree branches overhanging the pool. If they get heavy with snow and ice, they could break and fall onto the pool and damage the cover. When there is a snow fall and then a warm up, make sure you use a shop-vac to remove any standing water. Resist the urge to lift off any hunks of ice and don’t shovel any snow off the pool cover. Check the cover to make sure it’s securely fastened, especially after any storms have blown through your area. Make a note on the family calendar to check the status of the swimming pool at least weekly during the winter season. This way you can rest easy knowing it is covered, there is no standing water and that when spring rolls around you can give us a call and get the pool opened quickly and easily so you can get right back to enjoying it!